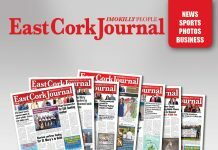 The East Cork Municipality has asked Transport Infrastructure Ireland (TII) to figure out the best way to warn drivers of a low clearance bridge. The Borough has also asked the Transport Authority to review its signage on approach to the Lower Bailick Road, as bridge strikes at the N25 overpass have increased over the past few months. The route is a feeder road for vehicles travelling into Midleton Town centre from the Whitegate and Ballinacurra direction. A number of trucks have smashed into the over-bridge over the years, as drivers did not have enough clearance to continue on their journey. Cllr Noel Collins told the February Sitting of the East Cork Municipality that bridge strikes are on the rise again after years in decline. Fine Gael Cllr Michael Hegarty agreed with his Committee Chairman stating that height detection gantries and warning signs could successfully help reduce the number of strikes. Sinn Fein Cllr Danielle Twomey suggested some signage could also be erected in other languages, as English may not be some driver’s first language and thus they may not fully understand the warning messages. Fine Gael Cllr Susan McCarthy said she felt there wasn’t a need for signage in other languages. Senior Engineer Cork Roads Dave Clarke said most of the accidents seem to involve locals who are familiar with the route. He said he had driven the route and found sufficient signage and advance warning signs in place. The Senior Engineer said he has referred the issue to TII for further investigation. Cancer Support Group Need wigs, Scarfs and Turbans.